Are you looking for a way to increase foot traffic into your business or building? Our commercial customers stand by the fact that an attractive looking property exterior can do wonders for business. In the summer, Vancouver boasts lovely weather but we shoulder the unique burden of rain forest precipitation that causes algae build up all year round on north facing structures. Scheduling awning cleaning appointments once per season can help keep your entrance looking presentable. We get rid of those high-up piles of leaves and rain streaks to create the curb appeal that your customers expect. 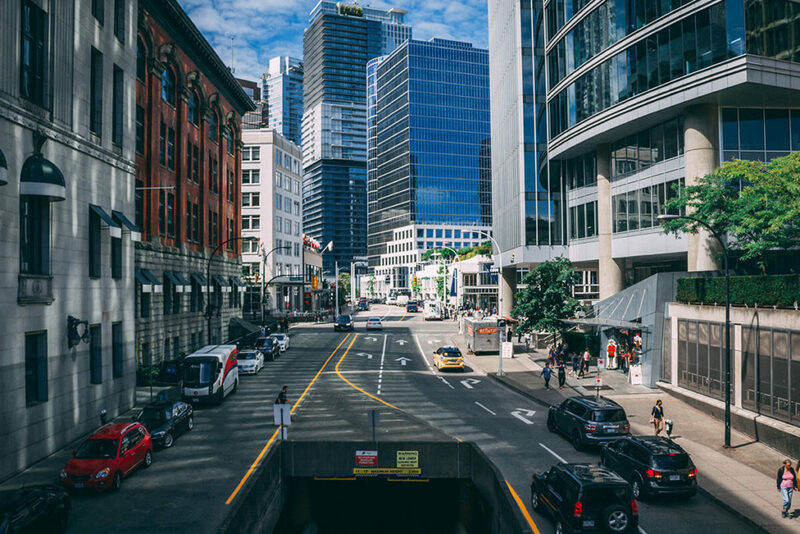 Our years of commercial window cleaning in Vancouver has given us expert knowledge in the types of equipment and skill needed to clean those hard to reach windows, without disrupting business. We pride ourselves on our high level of customer service and have been delighted to receive wonderful feedback from some of our regular clients. This is not a conclusive list of the exterior cleaning services we offer. Whether you’re interested in receiving an awning or window cleaning quote, or would like to find out about our other services, simply get in touch with our team of cleaning experts here.